Are you aching to live your dream life but can't seem to release yourself from what is holding you back? I work with men and women, just like you, to move through your blockages and gain deep insight into who you really are. I help you to live a more amazing and vibrant life, full of purpose, creativity and vitality without shame or regret. Click the videos below to watch two of my clients speak about how I helped them and how I can help you! If something in your being is saying Yes! Then I'd love to schedule an online consultation to see if we can work together! Please fill out your details below. ​I'm also happy to answer any questions you might have. If you are experiencing pain, trauma, a lack of vitality or feel stuck in your life, I can help you! Through both online sessions and prescribed homework (videos, art making, books and exercises), I can help you heal and move beyond your current situation into joy, freedom, empowerment and inspiration. My background as an qualified art therapist, sacred femininity instructor and sexologist mean that I am able to confidentiality hold space for whatever arises and accompany you into the journey of your healing. If this sounds amazing to you, I offer initial consultations to see if we are a good fit. In these sessions we explore what issues are arising for you and look at your history as well as support networks. Click below to book in. Where can I find Free Art ​Resources? How can I start working with you? 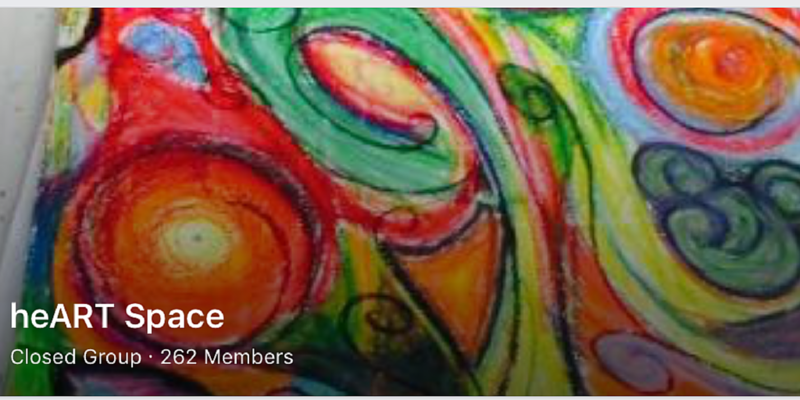 Are you ready to start your journey into art therapy and healing? *Individual or group support is recommended as this course is best when you have the support and insight of a trained art therapist. 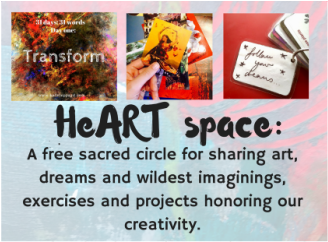 HeART space: a sacred circle for sharing art, dreams and wildest imaginings, exercises and projects honouring our creativity. From time to time we will gather online, create and share our art. I will share an exercise once a month. The group is also welcome to suggest ideas. In order to create a safe space please respect each other and when commenting on posts and artwork please be kind and compassionate. This space focuses on creativity and honouring our inner wisdom.